Westin Gets Amazing New Boat for Guests!! Hello everyone and happy Monday! If you’ve been lucky enough to be on island over the past week (or if you are lucky enough to have friends send you photos like in my case), you may have seen an insane new boat over at the Westin. And by insane, I mean absolutely incredible! From what we hear, the boat pictured above is going to be the Westin’s new passenger ferry when it reopens in January 2019. How cool is that??!! This new fast ferry is more than 100 feet long, and by the looks of it, it will likely transport guests from St. Thomas to the Westin dock in no time! It was only on island for a few days, but it sounds like it will be returning to the Westin in the near future. And I don’t know about you all, but I’m pretty excited to check it out in person! As we told you back in May, the Westin is working extremely hard to fix the damage created by last year’s storms. Click here to read that story and to see pics taken in May. I’ve said it before, and I will say it again… BIG kudos to the folks at the Westin for starting cleanup on the property almost immediately after the storm and for working hard to reopen ever since. That’s all we have for you today, folks! Have a great one everyone! That’s one slick, wild looking cat! Wow! Big ups to the Westin! They are obviously not playing around. Too bad they no longer have hotel rooms. That looks like it belongs in a James Bond film! Love the Westin!!! Perhaps this ferry will manage to keep luggage dry and the crew members will be able to get passengers off the ferry safely instead of letting them almost drop off the ferry into the water. Yes, that was me that night in the DARK. Looks like Bad Kitty on steroids! I’m surprised about the way newspfstjohn brown noses the corporate sluts that are the Westin. I remember after irmamaria they closed the road that you could safely travel past the condos up to gift hill and made people (emergency personnel,seniors,etc) drive the dangerous curvy rode that was still littered with debris,poles,wires and such. They hired a paramilitary force to guard the front of the Westin and then proceeded to lay off everyone on staff and hire a bunch of new and cheaper workers to clean up the mess… who cares about there new friggin boat that carries passengers for three times the cost as the ferry costs? Pointing out that a business is working hard to reopen and provide excellent services to guests isn’t brown nosing. But see it as you will. That road has been closed for years. They didn’t lay everyone off. Many people were transferred to positions in the states. They offered clean up jobs to anyone who was willing to work, present staff included, and many continued to work there. They also donated roughly a million dollars worth of furniture to their employees and people on St. John. Looks like someone needs a hug today!!! Not a big Westin fan I take it PK? 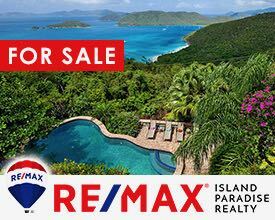 We have three units in St. John. On some fronts PK is right. The drive from Cruz Bay to the Westin looks like a Zombie war zone and that was before the hurricane. I’s not so sure that catamaran is going to be that good in the open ocean. There is never calm water between St. John and the dock on St. Thomas. I live on a 53′ Hatteras and she rides pretty well in just about all seas. My friends have Cat’s and they definitely ride rougher in the same seas. I hope it works out well though. I sure hope there is up-top seating. Sitting up top on the way back to St Thomas was always my last sun of my trip!! I really don’t want to be sitting inside! And I am, too, wondering about the price of our ferry tickets. $150 each was already pretty expensive!! For a family of 4 that’s $600!! I’ve thought about taking the public ferry. I have tried repeatedly to contact the Westin to see if any of these new timeshares will be available to be rented by non timeshare owners and they just put me on perma-hold and then disconnect. Does anyone know how to contact them? 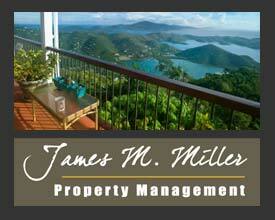 Contact a local Real Estate Broker to find an owner willing to rent their time/week/points out to you. We are owners at other Vistana timeshare properties and have enjoyed staying at the Westin with our options for years (including just before the hurricanes). Although the Westin and many other properties have converted to Villas, you can still either pay nightly or use points through SPG.com. These hotel timeshares bank studios specifically for this purpose. I appreciate these updates greatly and cannot wait to come back next Spring. Congratulations on the new baby, Cheers!! This is why owners trump people wanting to get in under points via Vistana or Interval. 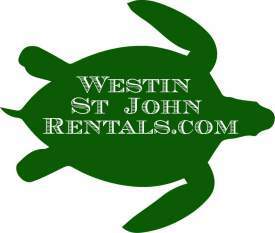 We love St. John, have been going to the island twice a year for 15 years as owners at the Westin. A few months prior to the hurricane, we decided to put our timeshares up for sale so we can focus on retirement property in the states. If you have permanent interest in purchasing or perhaps renting one of our units, drop me a note and I will share details. Hi, I was wondering if you have a unit that you might be willing to rent approximately May 2nd – 10th)? Thank you! Hope you are enjoying retirement! I have a 3bdr 4/27-5/4 willing to rent. My brother in law has units for rent. Send me your email and info. Wow! PK who pissed in it Cheerios?! Personally, my husband and I are really looking forward to our next vacay on one of our favorite islands and resorts in the world! Rock on, all u peeps who are making it possible to return to Paradise! has been doing it for over 17 years. They live on the island. pj , Stay in Naples . Based on info from other sources, it looks like the Westin ferry will no longer be operating from Crown Bay, but will now be using Redhook. Albeit that they will be using private vans to shuttle folks to the ferry, it will be a MUCH longer transfer and can’t imagine that it will be NEARLY as stress-free and enjoyable as taking off from Crown Bay Marina and Tickles! Is the Westin still on target for January 2019?? Have reservations for the 19th, but can’t get a hold of anyone.